The GL's LinkSim™ simulates a variety of communications links, inserting delays and inserting errors such that the user can determine what effects these impairments will have on their systems. 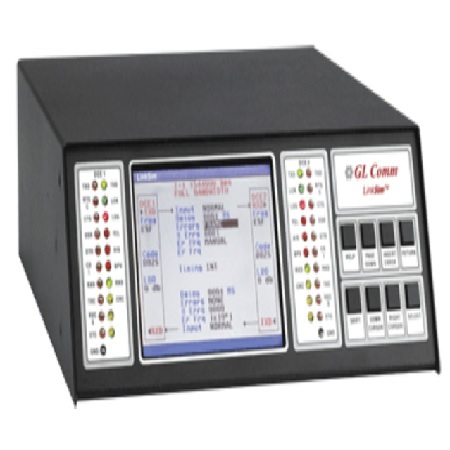 The LinkSim™ includes six pairs of interfaces - RS232, RS422/RS530, V.35, X.21, HSSI and T1 E1. It can introduce propagation delays in either or both directions. Propagation delays can be up to 1.999 seconds per direction for speeds up to 2.048 Mbps and up to 500 milliseconds for speeds from 8.192M to 50 Mbps. The LinkSim™ can inject logic, ones, zeros, timing slips, bit, burst, frame, BPV, CRC, FDL, signaling, block, C-Bit and P-Bit errors in either or both directions.